As the Invasive Hunter, I always have to keep my skills sharp, so on a Saturday in May, I attended an invasive species workshop at the Lady Bird Johnson Wildflower Center. This workshop was designed especially for citizen scientists who are working with the city of Austin as part of the Austin Invasive Plants Management Plan. The city of Austin and the Invaders of Texas Program teamed up to train local volunteers how to identify and monitor invasive plants. Citizen scientists who volunteer with this program get to work side by side with city staff to develop a map of where invasive plant species are located, and the city of Austin will use this map to determine how to best treat or remove the invaders. Ms. Jessica Wilson, Wildland Conservation education manager with the city of Austin, welcomed us to the workshop, and Ms. Jessica Strickland, Invasive Species Program Manager with the Wildflower Center, gave a great talk about invasive species in Texas and those around Austin, the Invaders of Texas Program, and how to report sightings of invasive species online and through the TX Invaders mobile app. 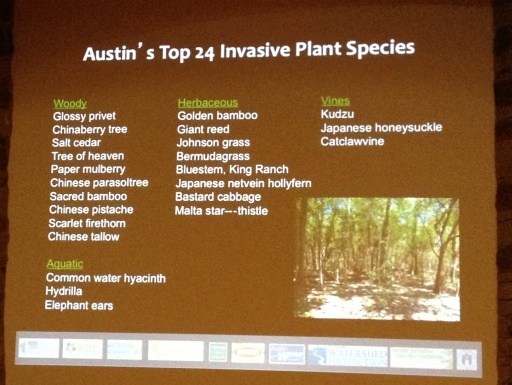 We learned about the top 24 invasive plant species in Austin from samples in the Wildflower Center’s library, and got to know them better by being able to see them, feel their leaves and other identifying features, and sketch samples of them to help us remember them when we’re out in the field. 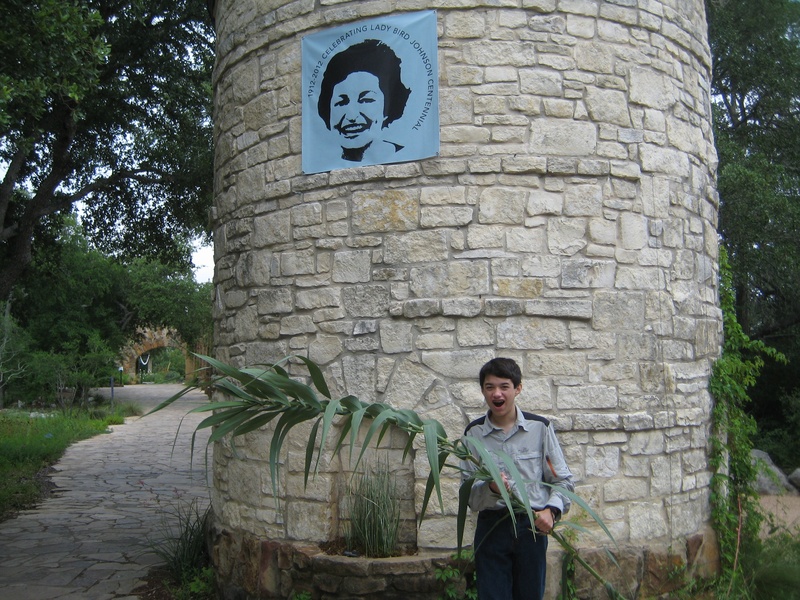 The top 24 invasive plants in Austin cover herbaceous, woody, vines, and aquatic species and include my nemesis, the Giant Reed (Arundo donax)! Besides polishing up my knowledge about invasive plants, I also got to spend some time with other citizen scientists (excuse me, future invasive hunters!) and staff from the city of Austin who were a lot of fun. The workshop I attended was part of a series of volunteer workshops that the city of Austin and the Wildflower Center have been holding during the spring of this year. Their goal is to train 180 citizen scientists who are willing to volunteer time during the summer monitoring season. The next Invasive Species Identification and Monitoring workshop is coming up this weekend, June 8 and 9. Don’t miss out because this is the last workshop for the season! Learn about and sign up for an upcoming invasive species workshop. Ms. Jessica Strickland talks about her background with invasive species during the Invasive Species Workshop for Citizen Scientists in June 2012. 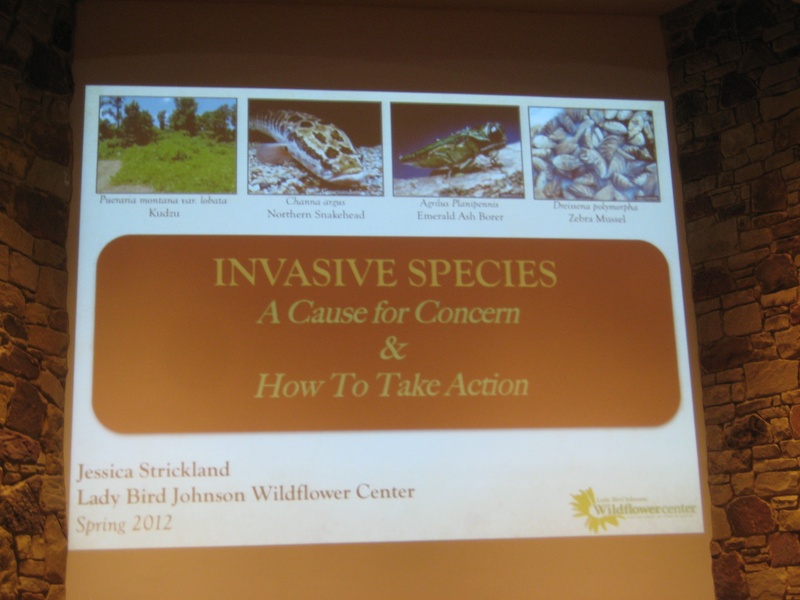 Ms. Strickland is the Invasive Species Program Manager at the Lady Bird Johnson Wildflower Center in Austin, Texas. 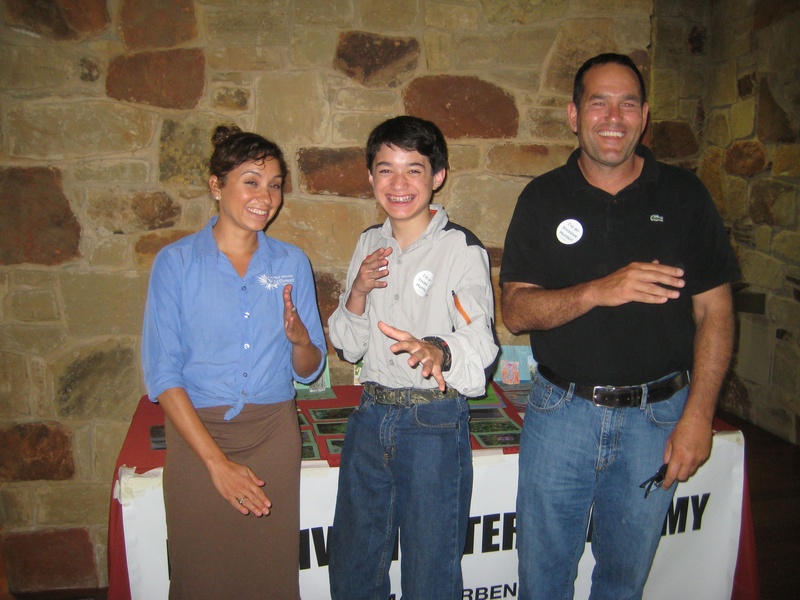 Before she joined the Wildflower Center in February 2012, she worked with American Rivers on watershed protection, fish habitat, and water conservation. She studied the invasive species Armored Catfish (Loricariidae) during snorkeling surveys. Watch the video to find out which invasive plant species she finds the most threatening to our Texas waterways. 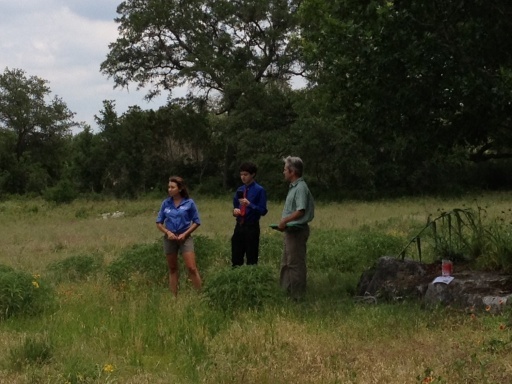 Last weekend, I attended the Invasive Species Workshop at the Lady Bird Johnson Wildflower Center. Ms. Jessica Strickland, the center’s invasive species program coordinator, led the event, teaching us about invasives, especially how to map and combat them. She talked about the Invaders of Texas program, which helps to educate citizen scientists about invasive species and how to report them to agencies that can research their locations and do something about their spread. There were over 80 people in attendance, including many master naturalists who were very enthusiastic about sharing their knowledge about invasives with me and the other attendees. We had a full agenda! It’s easy to become a citizen scientist for the Invaders of Texas program. You just need the knowledge and desire to take action against invasives. To become a citizen scientist, you can join a satellite group, such as a group of master naturalists, and attend an educational workshop. 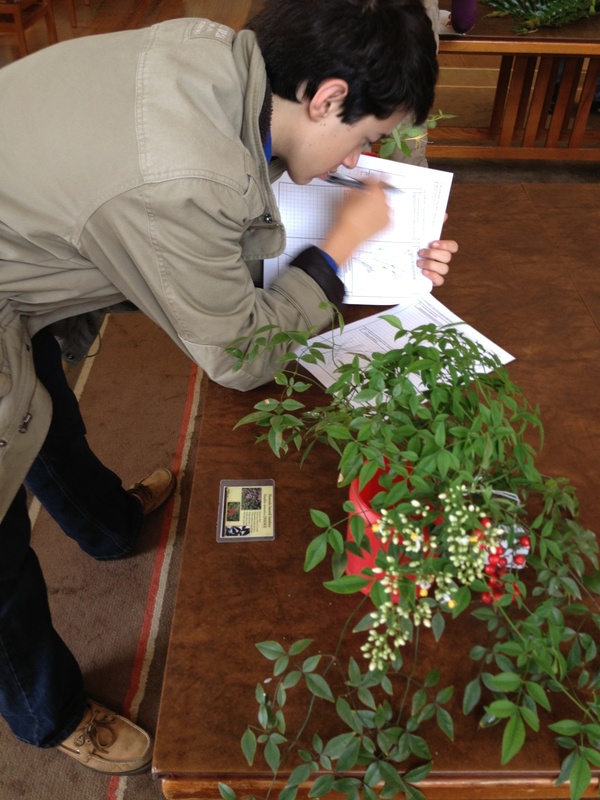 The group will then report their sightings in the invasive species database. 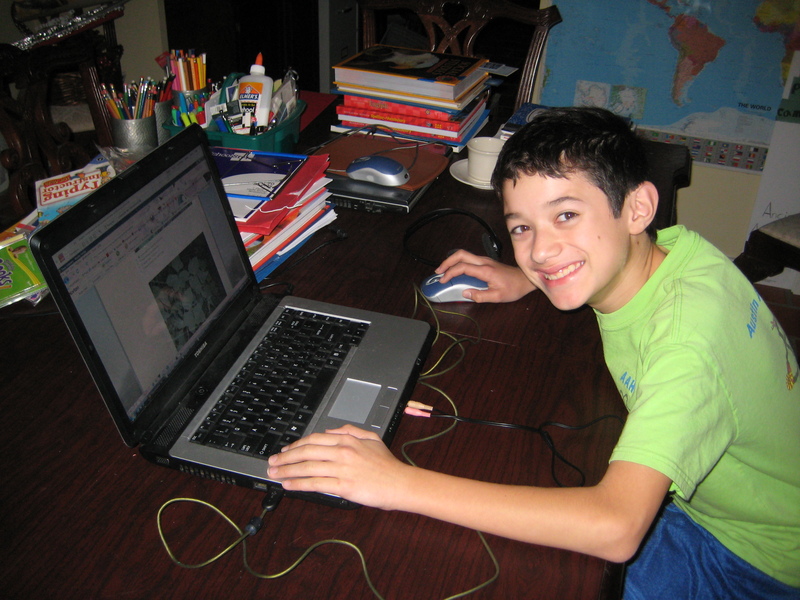 Or you can learn about invasive species online, take a short test, and be on your way to finding and recording invasives as part of the Voyager group. I’m a Voyager, and I hope that you’ll join me too. Ms. Strickland gave us a demo of how to make an observation and enter the sighting into the Invaders of Texas database. A digital camera – Very important because Ms. Strickland will need a picture of the suspect verify your sighting. Tip: put a white piece of paper behind the leaves or distinguishing feature of the plant that you’re taking a picture of. This will help to make details visible for identification. GPS device – This will help pinpoint the exact location of your find. If you don’t have one, you can use Google maps with the reporting database to get as close as you can to the area where you were. Knowledge about the invasive species that you’re looking for – You don’t want to report the wrong species! Commander Ben unfazed by the looming stand of Giant Reeds sneaking up on him. Once you have your sighting, just go to your computer, enter your data, and upload your picture. Once your species is verified, you’ll be part of a vast and powerful database that will help other citizen scientist and scientists take action against invasives. There’s a space on the reporting form to ask for volunteer hours, and that’s important in case the Invaders of Texas program needs to apply for matching grants to help maintain or grow the program. Android and iPhone app for Invasive Species coming soon! I’m looking forward to when their Texas Invasives mobile app will come out that will allow citizen scientists to record their sightings instantly with their mobile phone. This will really help to increase sightings! They’re coming out with the Android version first. I’m really looking forward to the iPhone version. During the workshop, we learned about the Sentinel Pest Network that was created to help us watch out for deadly invasives that are in the United States, but have not been found in our state yet…but they may be marching our way. 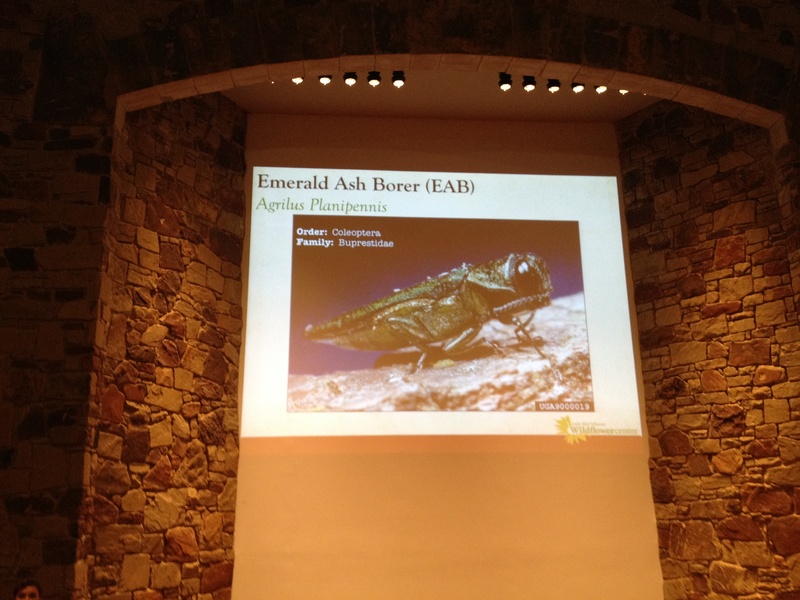 We learned more about these other invasives, including the Emerald Ash Borer (Agrilus planipennis). It’s amazing that an insect that’s smaller than a penny could do so much damage to the native ash tree population of the United States. We also learned more about the Asian Longhorn Beetle and the Gypsy Moth (Lymantria dispar), which I didn’t know much about before this workshop. Invasives at the Wildflower Center! Ms. Strickland asked us to bring samples of different kinds of invasives species. I brought my nemesis, the Giant Reed (arundo donax). It was so tall that I had to be careful making my way through doorways and not knocking things over along the way. 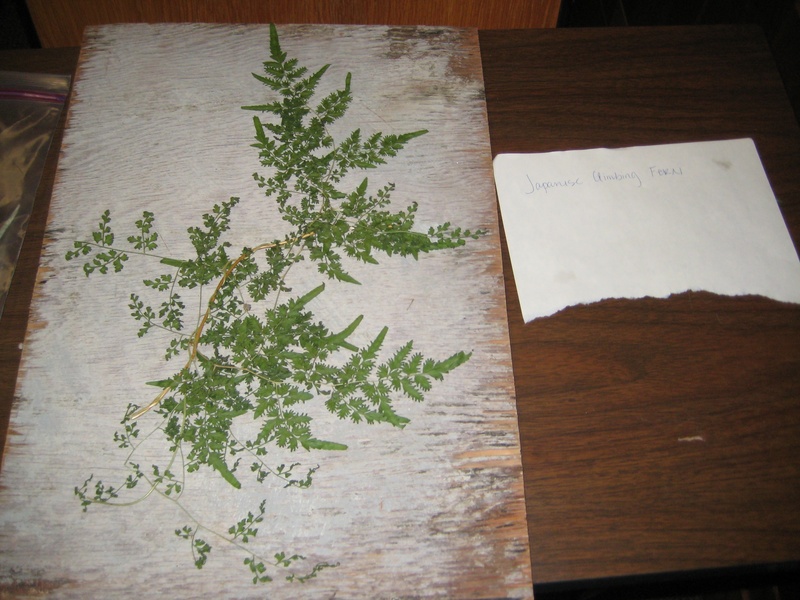 It was great that so many people brought land and aquatic invasive species to share, some of which I had not seen in person before, like the Japanese Climbing Fern (Lygodium japonicum). This invasive spreads in the woods of East Texas, suffocating native trees and plants on the ground. 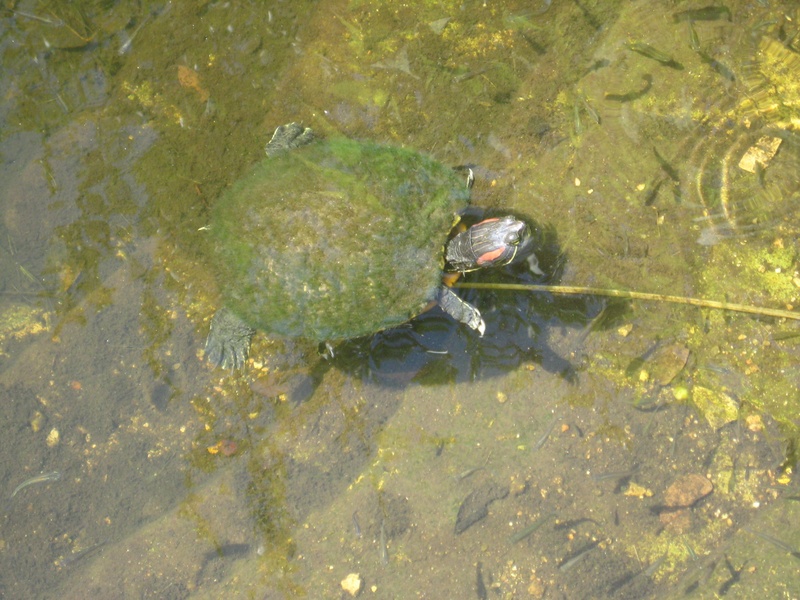 During our breaks, I enjoyed talking with my fellow citizen scientists and watching the magnificent turtles in the Wildflower Center’s pond. They were very friendly. I also saw a lot of cool damselflies and lots of flowers and plants. At the workshop, we also learned about the Great Texas Tree Roundup from the “Tree Folks” and the Eradication Calculator that helps to publish and report volunteer efforts to get rid of invasive species. Many workshop attendees had asked for educational resources and ways to help teach kids about about invasive species and the problems that they’re causing in our ecosystem. Ms. Strickland invited me to bring my Invasive Hunter Academy to the workshops to show teachers and master naturalists about a fun way to help educate kids about invasives. This is the same academy that I created for the National Invasive Species Awareness Week (NISAW) in Washington D.C. earlier this year. When I first arrived in the morning, Ms. Strickland and Ms. Karen Clary provided me with a wonderful table to set up my academy, and right before the youth education session, Ms. Strickland showed my Invasive Hunter Academy preview video to the entire audience. It was wonderful. I was so happy to hear everyone’s reactions to the video, especially all their laughter during the funny scenes. It was awesome to know that people really do enjoy my battles with invasive species videos, and they can help educate everyone about invasive species. During the youth education session, I talked with a group of teachers and master naturalists about the wonderful educational activities that are part of the Invasive Hunter Academy. I described the steps for students to graduate from the academy. 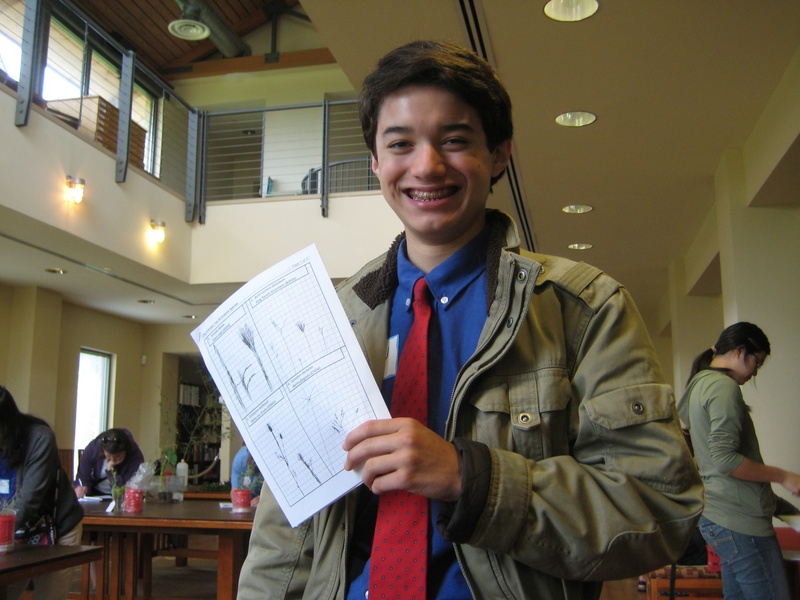 A few of the attendees wanted to go through the experience themselves identifying the invasives, and of course, they all succeeded! 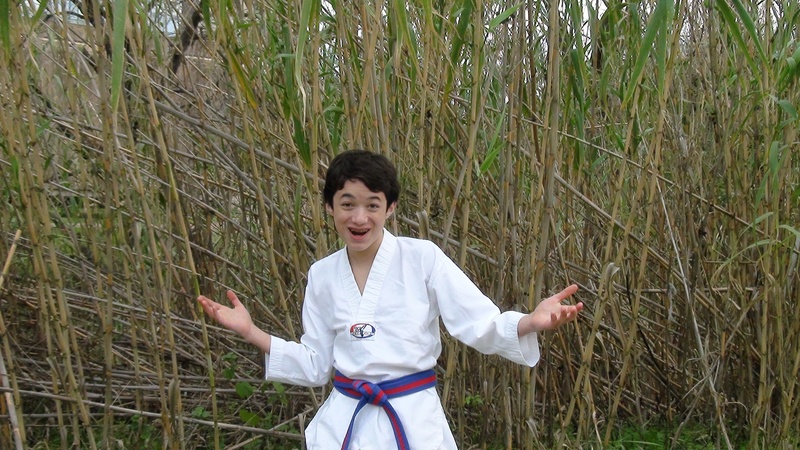 Next, they enjoyed the action moves to take down the different invasives with a lot of laughter. Once they started showing me their their moves, I got an inkling that there may be a budding invasive hunter in them. But they had to pass the final test, perhaps the most difficult challenge, creating their action scene. One lady picked the Giant Reed to fight against in her diorama. I asked her why, and she said that it was a big problem where she lived, and wanted to wage a battle against it. Once they were done, I graduated them as full fledged invasive hunters, giving them a sticker, and certifying them as an official Invasive Hunter. The master naturalists from the El Camino Real Chapter invited me to be part of their nature festival next year. It sounds like fun! 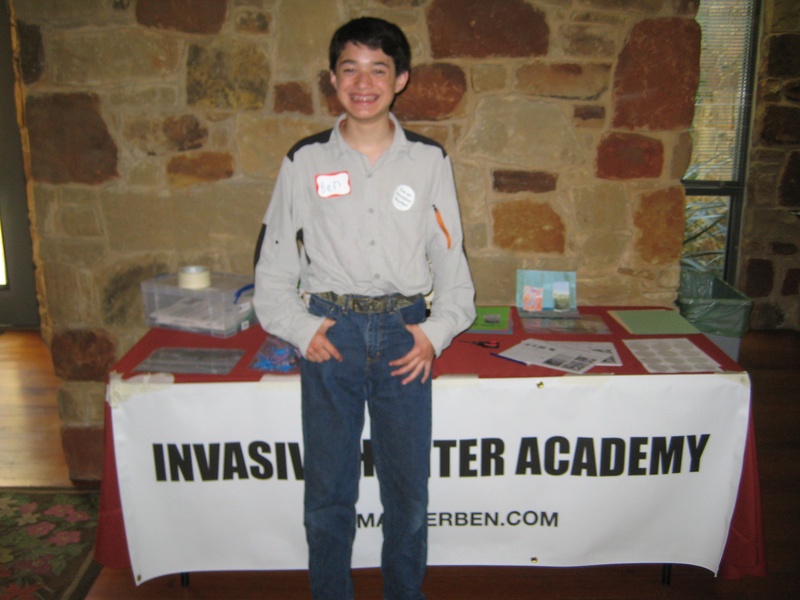 You too can be an invasive hunter, especially if you’re in Austin, by enrolling in the Invasive Hunter Academy at the Lady Bird Johnson Wildflower Center during the Power of Plants at Nature Nights on July 5. It’s free and you’re guaranteed to have fun! You’ll have a great time becoming an invasive hunter, and you’ll make and bring home an action diorama of you protecting your native ecosystem against the invading invasives. Ms. Strickland made me feel very welcome, and I learned so much. Thank you for inviting me to be part of your event, and thank you Dr. Damon Waitt for all your kind words and encouragement. This was a great workshop! Ms. Strickland is giving these these workshops around the state, and you won’t want to miss attending one of these events! Reported locations of the Giant Reed (Arundo donax) around Lady Bird Lake in Austin, Texas. You too can join the fight against invasive species by attending the next Invasive Species Eradication workshop. This workshop helps you become a more active citizen scientist by teaching you about invasive species and how to report them. I recorded my first invasive species, my nemesis the Giant Reed (Arundo donax), early last year with my GPS, pencil and paper, and digital camera, and I reported my information on the Texas Invasives website for other scientists to understand how invasive species were spreading. 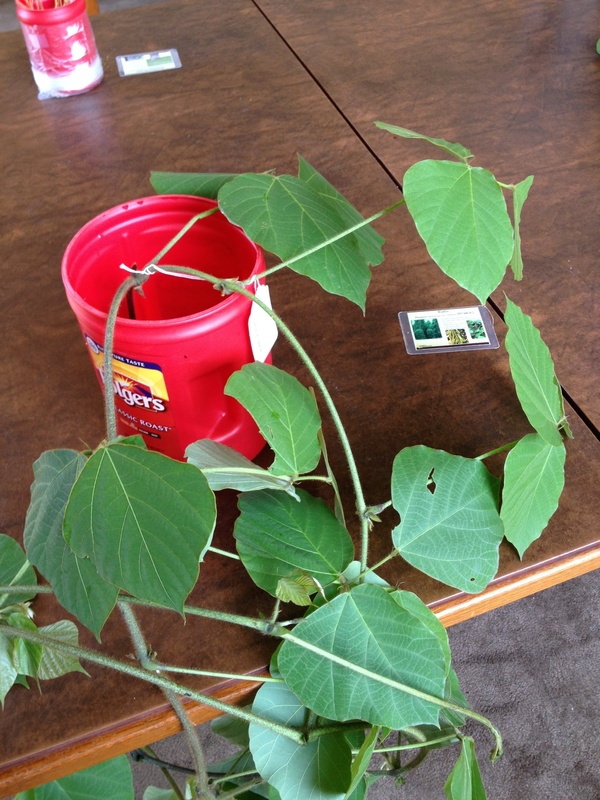 Many other citizen scientists across Texas have reported their invasive sightings too. For example, View a map of the reported Giant Reed locations in Texas. We won’t always need pencil and paper. 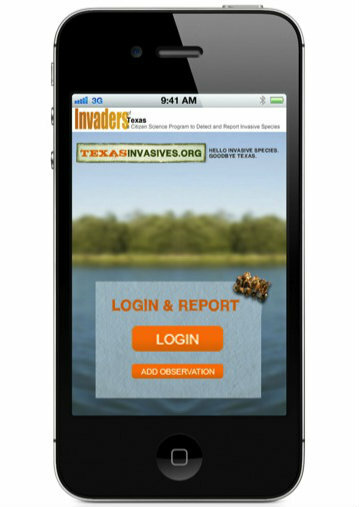 The May 2012 iWire newsletter talks about a new Invaders of Texas mobile app to report invasive species. The Invaders of Texas program received an empowerment grant from the Motorola Foundation to develop a mobile application for Android devices. These invasive species workshops are held around the state throughout the year, and the next workshop in Austin will be on Saturday, June 16th, at the Lady Bird Johnson Wildflower Center. I look forward to attending this upcoming workshop to learn about the latest techniques for identifying and reporting invasives and meeting other citizen scientists. I want to learn more about how to use an iPhone to easily report invasives when I see them. The workshop will also cover the new Eradication Calculator, which will help to organize and coordinate removal efforts. Learn more about this invasive species workshop and others around Texas at Texas Invasives workshops or contact Ms. Jessica Strickland, the Wildflower Center’s invasive species manager. 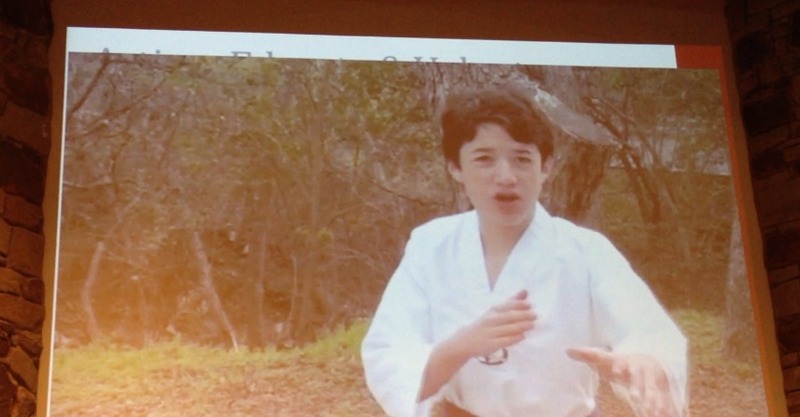 I’m so excited to let you know that I gave my first formal talk about invasive species, “Origin of an invasive hunter: Educating kids of all ages about invasives”, yesterday at the 2011 Texas Invasive Plant and Pest Conference at the Lady Bird Johnson Wildflower Center in Austin, Texas. I also want to thank the student from Moody High School in Corpus Cristi who raised his hand during the question and answer session to let me know “that was pretty awesome man!” You’re cool too and you and your team of students have been doing great work against the saltcedar bandits! Thanks again to the conference organizers who invited me to speak. That was great! 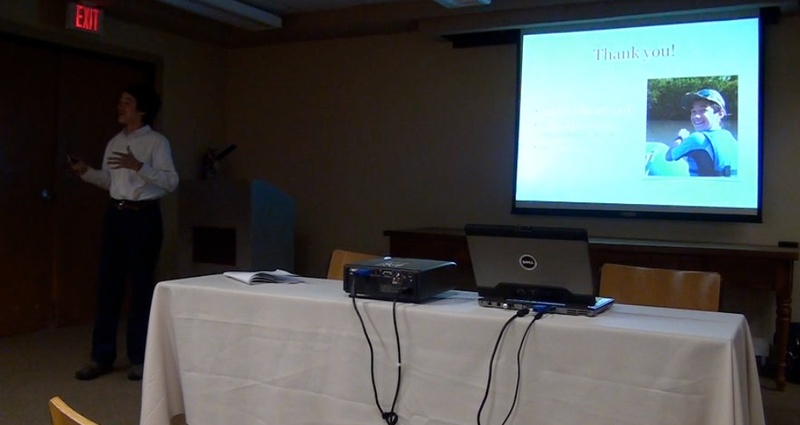 I can’t wait to talk about invasives in front of everyone again! 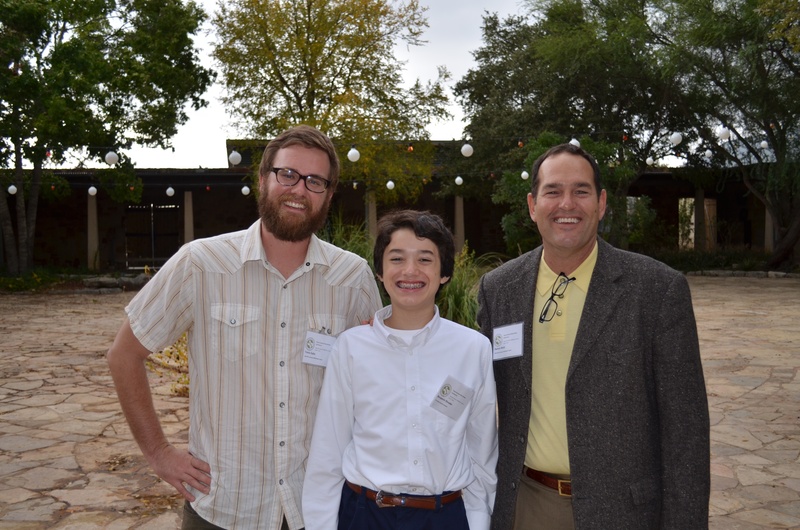 I was honored to have a picture with Dr. Damon Waitt (right), Senior Director of the Lady Bird Johnson Wildflower Center and past president of the Texas Invasive Plant and Pest Council, and Mr. Travis Gallo (left), the Invaders of Texas Citizen Science Program Coordinator. I had a fantastic opportunity to talk with many wonderful scientists during the conference, and I had a chance to create several short video interviews. I’ll be uploading them in the coming days, and I look forward to sharing them with you so you can enjoy some of the conference fun and discover new secrets about invasive species. Texas Invasives at http://www.texasinvasives.org is a wonderful web site that teaches you all about the invasive species that are causing harm, both economically and ecologically, to our great state. You can go into their invasives database to learn about each of the species, including the famous (or infamous!) Giant Reed–my favorite nemesis. 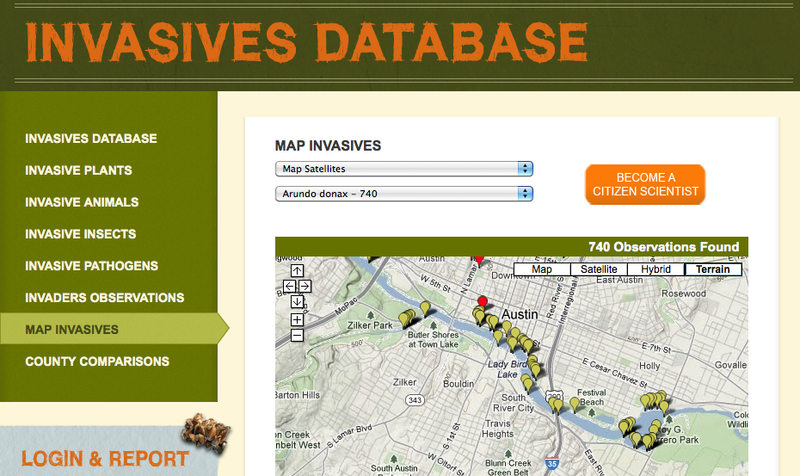 You can even sign up as a citizen scientist to report sightings of invasive species and have them added to a map that everyone can easily access. I’ve already added a few sightings of my own and learned a lot about invasive and native plants along the way. If you’re new to learning about invasives, especially in Texas, or if you’re a seasoned invasive hunter, this site will be a great resource for you. 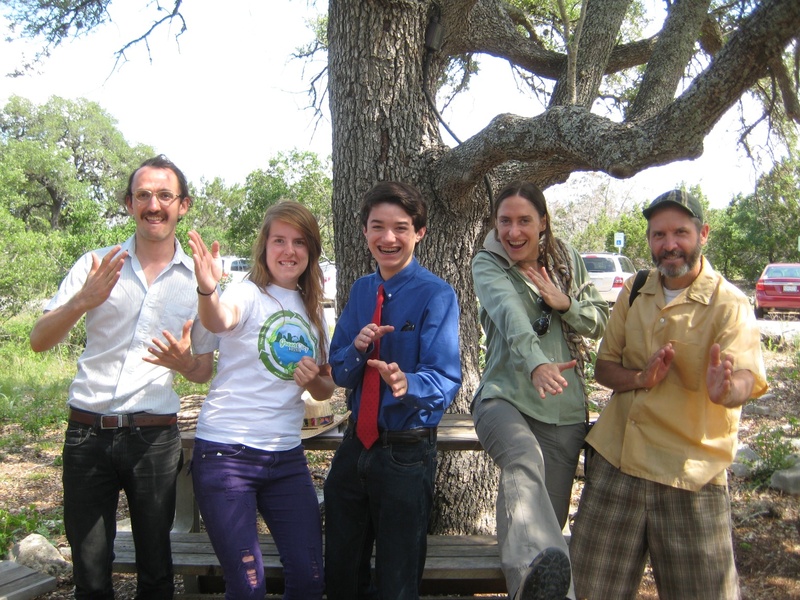 Five green thumbs up for the Texas Invasives site!